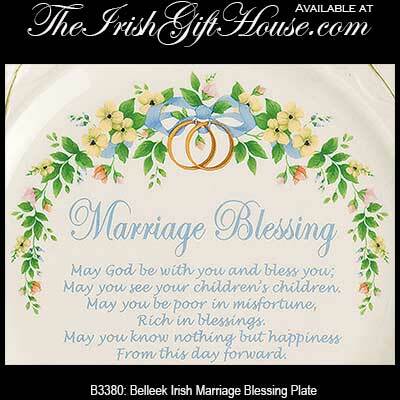 Belleek blessing plates include Irish blessings that commemorate happy occasions including weddings and anniversaries along with a special plate for mother. 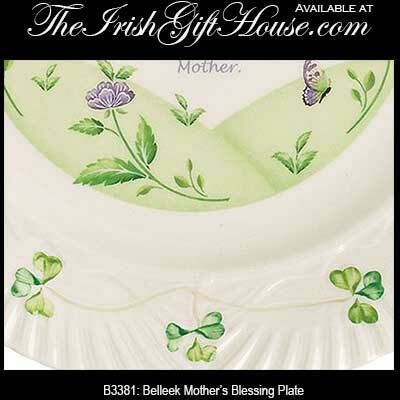 You may display the Belleek blessing plates from the wall with a hanger or on a table with a holder. 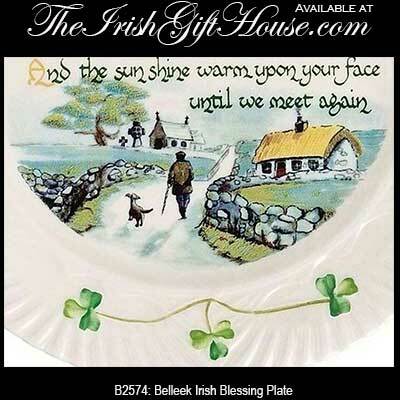 Celebrate every special occasion with an endearing Irish blessing on each Belleek plate from The Irish Gift House. 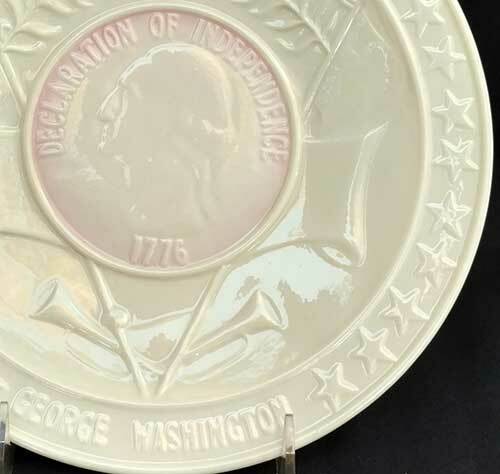 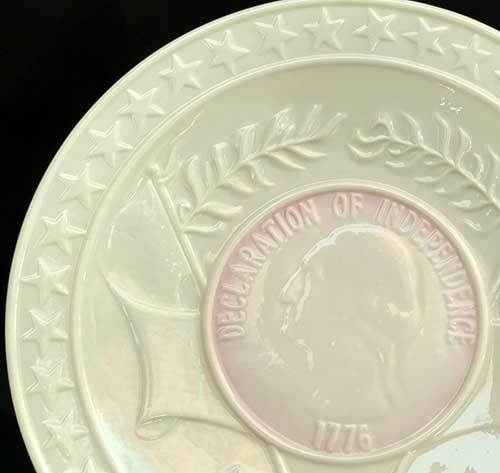 Belleek plate for 1976 commemorates the American Declaration of Independence with an embossed profile of George Washington the center. 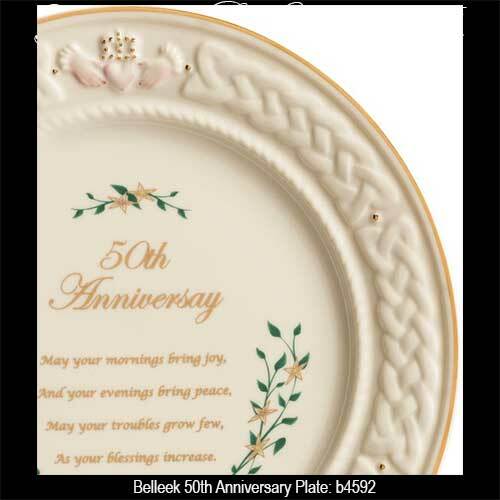 The fine china creations from Belleek are so much more than decorative art from Ireland; it is made to be used on a daily basis. 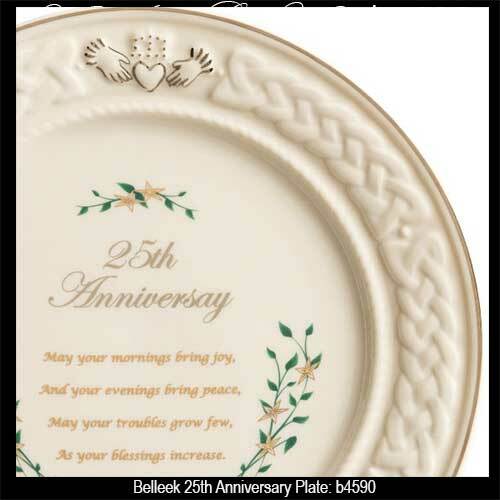 Did you know that the plates in the Belleek dinnerware along with the Belleek Claddagh dinnerware assortments are used for every meal in the Irish pottery's cafeteria? 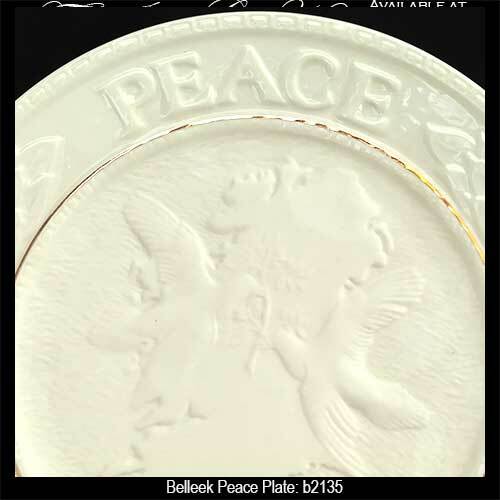 The same is true of the Belleek mugs and tea pots; sure they are beautiful, but they are also dishwasher and oven safe to 375F. 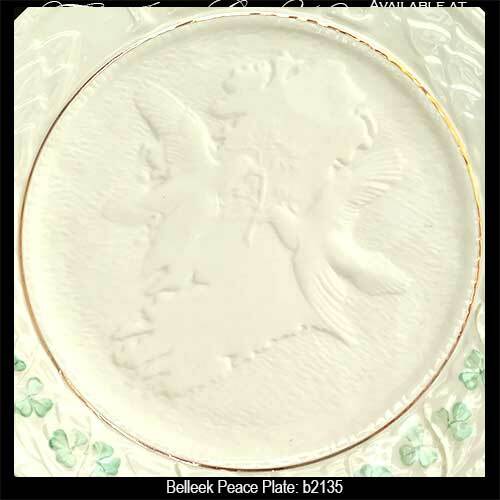 So if you are lucky enough to have a Belleek vase, please do yourself a favor and add some flowers as the will make an enchanting combination. 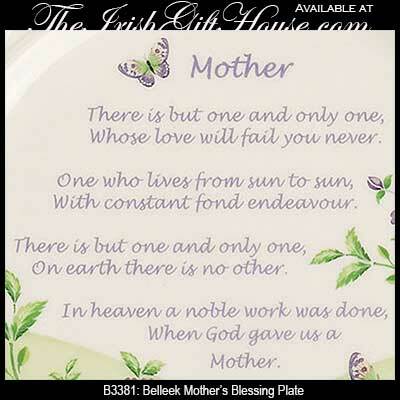 The same is true for the Belleek candle holders; light that candle today and there will be a new world of illumination for you to enjoy. 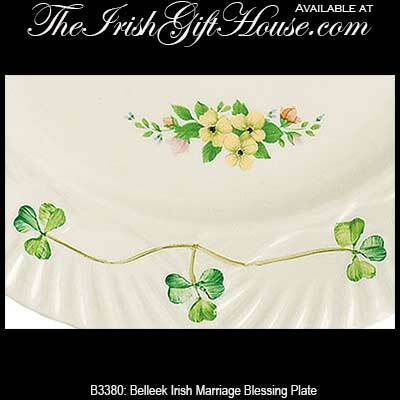 If by chance you would like to browse additional Irish blessing plates we have a grand selection that includes gifts from Royal Tara China. 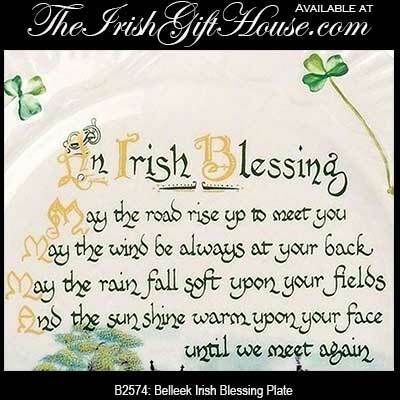 The Irish Gift House also has a very large selection of Irish blessing plaques too; you will find just about every verse that is brought to you courtesy of the emerald isle.